Planned Parenthood will continue to receive federal funding in the newly released omnibus spending bill, delivering a defeat to pro-life groups that have been seeking the defunding of the nation's leading abortion provider. Sources have told multiple news media outlets that the bill will not include a removal of the approximately $500 million in federal funding Planned Parenthood receives. Sources that talked to PBS News Hour noted that the bill "continues current policies" on issues regarding the abortion debate. "Planned Parenthood would remain eligible for federal grants, and Trump's expansion of the Mexico City policy, which blocks U.S. funding for international organizations that discuss or perform abortions, would continue," reported PBS on Wednesday. Politico noted that the maintaining of Planned Parenthood's funding was one of many scrapped "last-minute attempts to tack on controversial policy riders ahead of a Friday deadline to fund the government." "Congressional negotiators are rejecting pleas from both parties to load up the must-pass bill with other long-simmering policy items as they attempt to avert a third shutdown in three months," Politico reported. Currently, the federal government provides Planned Parenthood with the funding for certain non-abortion services, save for certain circumstances. Critics argue the funding is fungible and thus still supports abortion services. President Donald Trump campaigned on a platform that included defunding Planned Parenthood, among other pro-life agenda items. Since taking office, however, efforts to defund the nation's leading abortion provider have not succeeded. Regarding the continued funding of Planned Parenthood, Representative Steve Scalise of Louisiana told Fox News' Laura Ingraham in an interview Tuesday evening that he and fellow Republicans were still working on defunding the pro-choice organization. "Look, they've been getting funded for a long time. We are trying to roll that back. Our health care bill, which passed the House and failed in the Senate by one vote, would have fully defunded Planned Parenthood," explained Rep. Scalise. "We've got to continue that fight ... I have worked very closely with all the pro-life groups. We are going to be rolling back some of the money that they are getting. We've got to continue to battle to get that done." 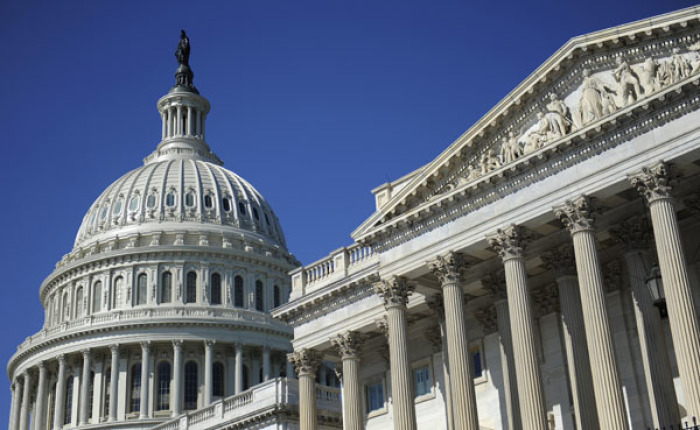 Congressional leaders expect a vote soon on the omnibus spending bill. They have until Friday to pass the bill to prevent a government shutdown. It would fund the government through the end of September.